Argate B&B is in a super location in the New Forest National Park, near Southampton in Hampshire. This is the ideal guesthouse to enjoy peace and tranquillity while staying in a rural setting. The guesthouse consists of 2 ground floor rooms, one double with an en suite shower room and one twin room with a private bathroom. Both rooms are tastefully furnished and equipped with free high speed Wi-Fi and TV with freeview and DVD. A delicious continental breakfast is provided in your room, which includes beverage making facilities, refrigerator and a microwave. The New Forest countryside is superb for walking, riding and cycling and where wild animals such as ponies, cattle and donkeys roam freely. There are some lovely villages, walks and country pubs. Argate B&B is just 2 miles from the M27, making this the perfect base from which to explore a variety of attractions. The Lerryn Hotel in Falmouth is an award winning hotel that has been lovingly renovated, combining style and substance in equal measure and just a stone’s throw from the beach. It is the perfect base for friends & families alike who want to explore Cornwall, enjoy the surf or just to escape from city life. 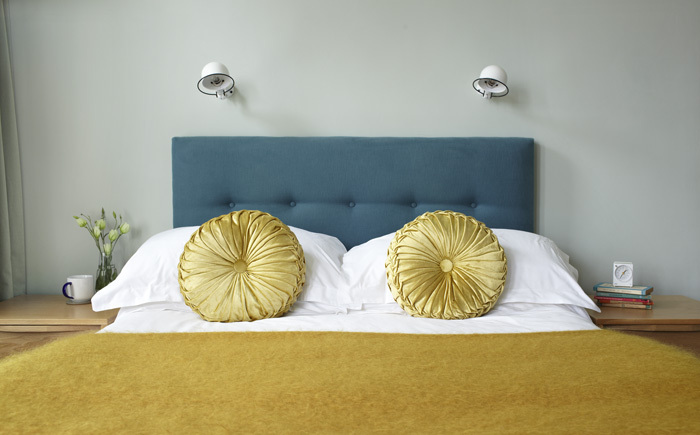 There are 2 types of guest rooms available: Standard Rooms – These have an understated light décor & include everything you need for a seaside break. The beds are comfortable and made up with crisp white linen. Deluxe Rooms – You will find quality in every detail of the deluxe rooms, from the elegant décor to the mod cons that are available. The deluxe hotel rooms have been uniquely designed to reflect the hotels coastal surroundings. Breakfast is included in the room rate and served in a bright, airy dining room. There are various options available to suit all appetites, so whether you choose something fresh from the hearty menu or help yourself to fruit, yoghurt or cereal, there is something for all. Special mention goes to the traditional full Cornish, made from the tastiest, local ingredients. Bar snacks are available, dinner available by arrangement. Guests use The Lerryn as a base for walking, golfing, and getting out on the water. There are festivals throughout the year celebrating everything from sailing to cider, not to mention castles to explore, museums to wander, and plenty more! 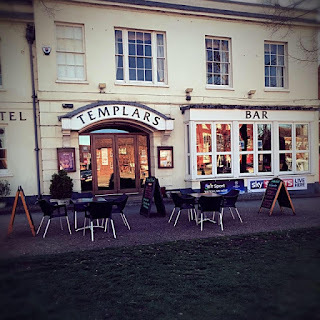 Templars Hotel and Restaurant is the perfect place to visit for pleasure or business. 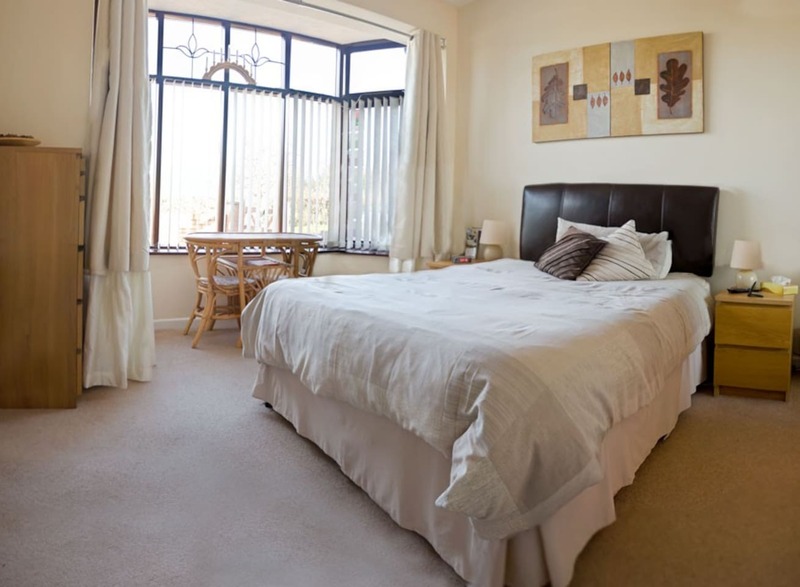 Located in the heart of one of Hertfordshire's oldest towns, with the tourist sites of London and Cambridge all within easy reach by road or rail. With a home style menu, warm welcome and a superb location in the centre of a country town , just 35 minutes from London. All of the guest rooms are comfortably furnished with en suite facilities with bath or shower (or both). A television, hair dryer & tea/coffee making facilities are available in the rooms, & breakfast is included in the price. The hotel has a bar and restaurant that is open to both residents and non-residents. Throughout the year there are a variety of events that all are welcome to, with live bands & discos. There is a separate sports area showing both BT and SKY Sports, as well as 2 pool tables and a dart board. This area has sofas and is a used by customers and guests in the evening. Alternatively you can dine in the window area & watch the world go by while you choose from the varied menu, with a range of fish, meat, vegetarian and gluten free dishes. Families are welcomed with high chairs and a children’s menu available. 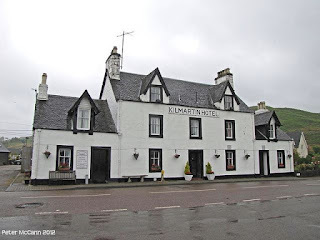 The Kilmartin Hotel is located in Kilmartin, just 8 miles north of Lochgilphead in Argyll. Surrounded by some of the most beautiful scenery in Scotland, there is a variety of activities in the area to make your visit a memorable one. 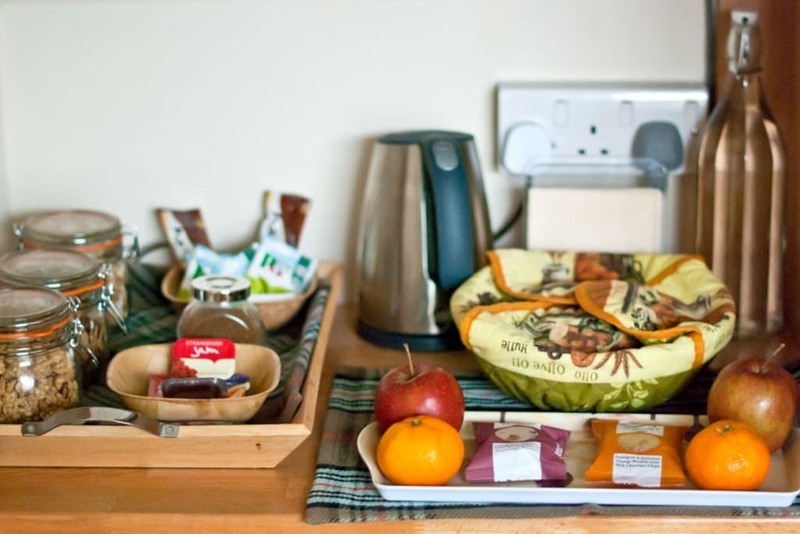 The hotel provides a comfortable standard of accommodation in 6 guests rooms, 4 of which are en suite and all of which are equipped with TV and tea/coffee-making facilities. There is an extensive choice of wholesome fayre from the bar meal and restaurant menus, with traditional Scottish and seafood dishes taking pride of place. Local places of interest include Museum of Ancient Culture, Kilmartin church and graveyard, with early Christian crosses and grave slabs. Prehistoric stone circles and cairns - older than the pyramids. Cups and rings marked rocks. Dunadd, Iron Age fort, home of the first King of Scotland. Carnasserie Castle, 16th C. Kilmory Woodland Park Gardens, Rhododendrons, Azaleas and specimen trees and Moine Mhor Nature Reserve. 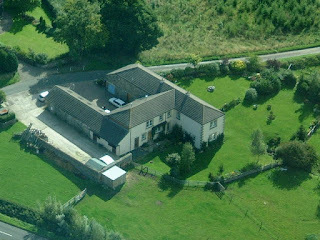 Ladeddie Barns B&B is a large country house situated in a beautiful conservation area of North East Fife, with delightful views of the large garden & westwards to the Lomond Hills by Falkland. It is a short drive from Pitscottie near Cupar and has many wonderful walks starting right from the front door of the B&B. 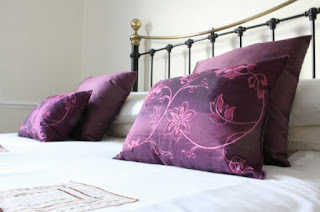 There are 2 guest bedrooms available which include a TV, tea/coffee making facilities and Wi-Fi. Breakfast at the guest house is served in the dining hall and is either a traditional full Scottish or a continental style breakfast. The dining table converts to a 3/4 size snooker table and guests are welcome to try their hand at snooker or pool. There is a small conservatory off the dining hall which is available for guest use and this gives access to the garden grounds which guests are free to roam. 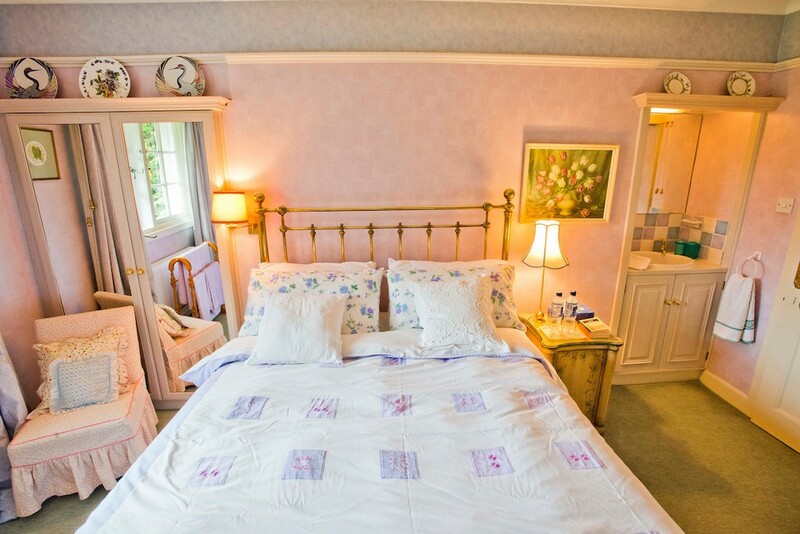 The area surrounding the bed and breakfast is ideal for walking, cycling, horse riding and especially golfing. There are lots of interesting places to visit in the nearby Cupar including shops, historic buildings and Scottish Deer Centre. The Wensleydale Heifer offers high quality bed and breakfast accommodation. It is located in the village of West Witton near the town of Leyburn in North Yorkshire. 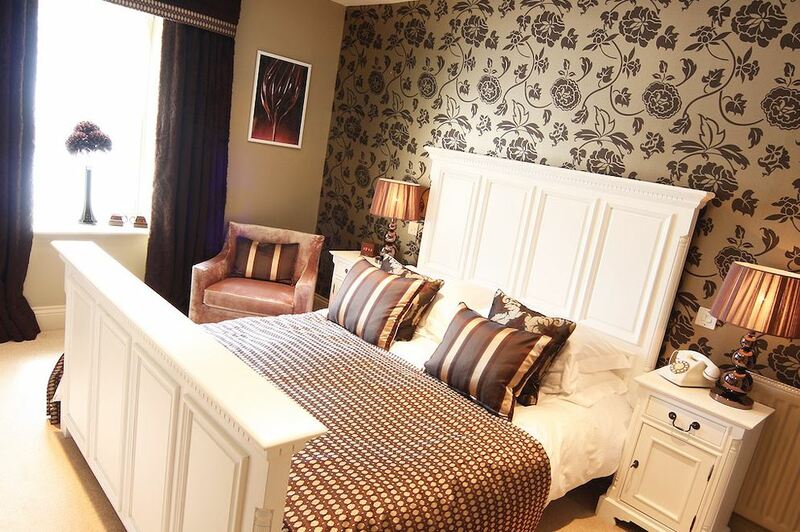 We offer high quality award winning dining, as well as luxury 5 Star guest accommodation. Each of the guest bedrooms offers en suite facilities, Egyptian linen sheets, Molton Brown toiletries, luxurious bath towels, a wide range of hot beverages & fabulous service from the moment you arrive. Whether you are requiring a weekend getaway, a short holiday or an overnight stay, the Heifer is the perfect location for a relaxing break. Dine in the award winning restaurant or sit in the Whisky Club room for after dinner drinks, then retire to your luxurious room. Wake up in the morning, enjoy a real Yorkshire breakfast (or something lighter if you prefer) and explore some of the fascinating countryside that surrounds the hotel. No expense has been spared to give you the ultimate hotel experience. Each room has its own unique character and facilities. The Wensleydale Heifer is situated in the stunning Yorkshire Dales National Park and is surrounded by a host of places of interest and activities. With historic castles, pretty market towns, pony trekking, steam railway, golfing, fishing and beautiful countryside in which to walk. The Dean Bed & Breakfast at Longniddry in East Lothian is spacious and elegant, each room filled with curio and antiques of interest and accommodation to a high standard. The accommodation is a wonderful family house which is listed as a building of special historic and architectural interest. There is a separate drawing room for guests, and accommodating a bigger party there is a large formal dining room which seats 16 people, together with other seating areas. 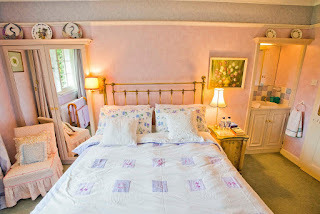 At this B&B accommodation there are two beautifully decorated double bedrooms with ensuite bathrooms, one bedroom with private bathroom and another double bedroom and twin bedroom with a bathroom that can be private to either, depending on which way the rooms are let. In the morning you can enjoy a cooked Scottish breakfast, & a choice of cereals and fruit salad are available too. Fresh coffee and tea or hot chocolate are provided. 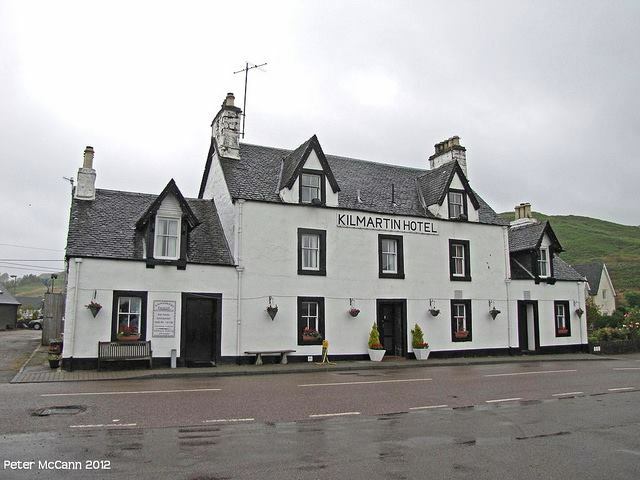 Nearby to this bed and breakfast accommodation is Aberlady Bay Nature Reserve and the beautiful sandy beaches of Gullane and Yellowcraig, the wonderful coastal walks and castles to visit and many other attractions of East Lothian on its doorstep. It is a well decorated, organized and comfortable family house offering a relaxing atmosphere. 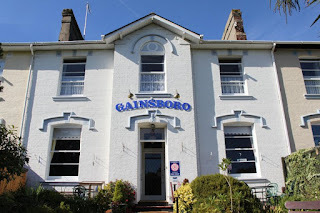 The Gainsboro is a desirable Victorian terrace built in 1860, offering excellent bed & breakfast accommodation in a small & friendly family home. 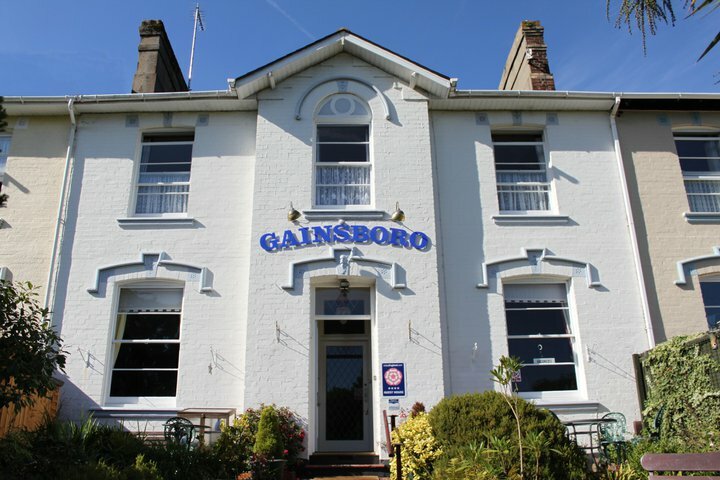 Gainsboro is located in a green & peaceful conservation area just a 5 minute walk from the seafront, train station and conference centre. A 20 minute level stroll along the seafront will take you to the harbour and central Torquay with its many bars, restaurants and shops. A 30 minute walk in the other direction takes you to the historic and picturesque village of Cockington known for its craft centre, sloping cricket pitch and horse and carriage rides. The warm and friendly service is balanced with a professional approach to enable guests to have a relaxing and enjoyable stay. 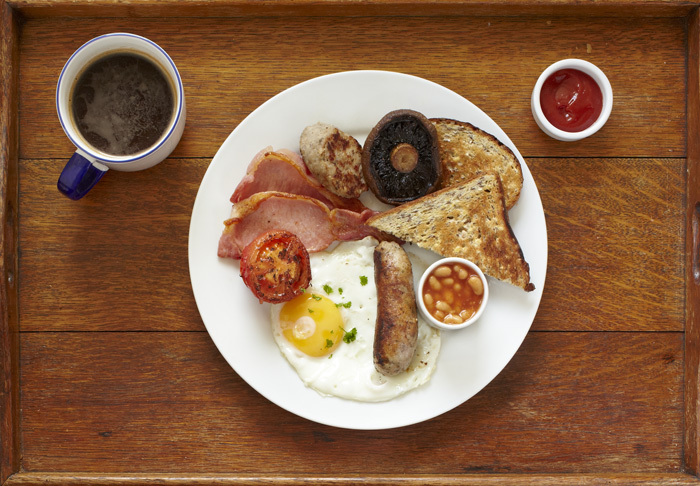 The hearty full English breakfast will set you up for the day, or you can choose a healthier light or vegetarian option. Torquay is at the heart of the English Riviera. It has an old world charm with the elegant pier and promenade, beautiful gardens, the grand Torre Abbey, peaceful Meadows and of course the beach.